Jessica A Ellis was a combat medic who was killed in Iraq on Mother’s Day 2008. Sunday is Mother’s Day. It made me think of her. May 29, Monday, is Memorial Day. I will think of her again. On Sunday, I want you to take a second and think about the price of freedom and who we ask to pay it. If a tear comes to your eye, all the better. 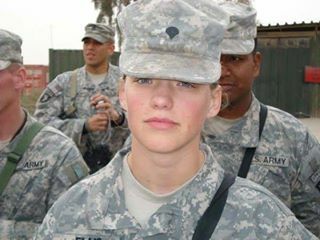 Jessica A Ellis, combat medic, KIA 101st Airborne Division, Iraq, May 2008. Bronze Star, Purple Heart, Army Commendation Medal, M4 Expert marksman.